The essence of ecologically sustainable development is to provide the needs of the present, while increasing the total quality of life for future generations. 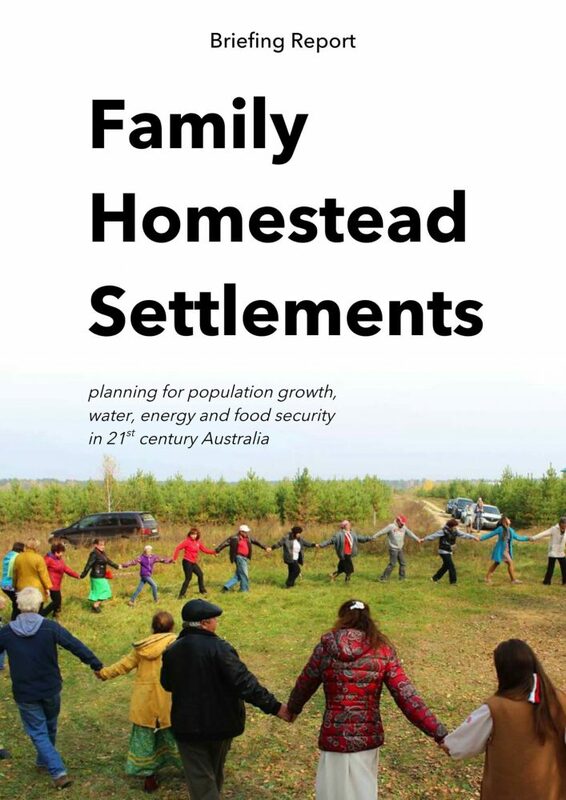 This report introduces the concept of the family homestead, a one hectare allotment consisting of a dwelling, water source, mixed garden and forested area. Homesteads are small enough to tend by hand, large enough to feed a family, and are arranged together in settlements of 200 or more. 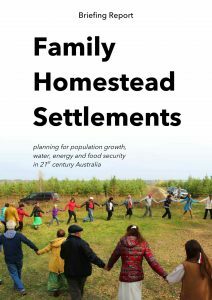 The possibilities and limitations of family homesteads are discussed within the Australian context. Creating family homesteads would better distribute the population between urban and regional areas, while stimulating new jobs and growth in farming and related industries. Most of all, family homesteads offer a cheap and reliable way to provide for a growing population, while allowing citizens to create the conditions of happiness and love in their families.